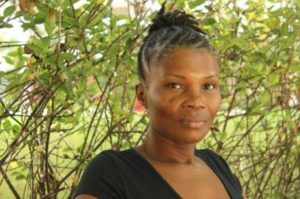 Seliana is a fierce, enigmatic leader in the community we support in Northeast Haiti. Up until 2011, the crops her family cultivated on their farmland provided food for her family and generated income to send her six children to school. When the Caracol Industrial Park took their land, as she told me last week in Haiti, “life became a struggle.” Nearly 4,000 people similarly depended on the farmland taken for the Industrial Park, which was financed by the Inter-American Development Bank and USAID. The previously stable community was devastated overnight, with women, children, and other vulnerable groups hit the hardest. If you are reading this letter, it is likely that your taxpayer dollars contributed to this harm – as did mine. But, as our annual report went to press, Seliana was signing the agreement that she and her community negotiated with the Bank and the Government of Haiti to restore her own livelihood and begin to remedy the dire situation of many thousands of others. The landmark agreement provides land, jobs, micro-enterprise support, and other key resources. I had the privilege of accompanying Accountability Counsel’s team at the signing ceremony over the weekend after an intense, historic process that we deeply supported at every stage. We partnered with the communities to submit the complaint to the Bank’s accountability office 18 months ago, and accompanied them through the year-long, complex dialogue process, and sophisticated joint research with our Haitian partners, that informed both the negotiation and the remedy packages. It was a stunning show of smart strategy, endurance, local organizing, creative use of data and technology, and good lawyering. Our Policy team contributed to the victory too, as a forceful voice in Washington to ensure that the accountability office we used is fair and effective, and to advocate for prevention of this type of harm. This is the power of Accountability Counsel’s model. This historic process in Haiti is already informing the efforts of our global team of 16 working on cases, policy initiatives, and research around the world. I’m thrilled to share our impact this year in our 2017-2018 Annual Report available here.